Raoul is currently co-located in London and the Republic of Ireland where he and his partner have a permanent home. 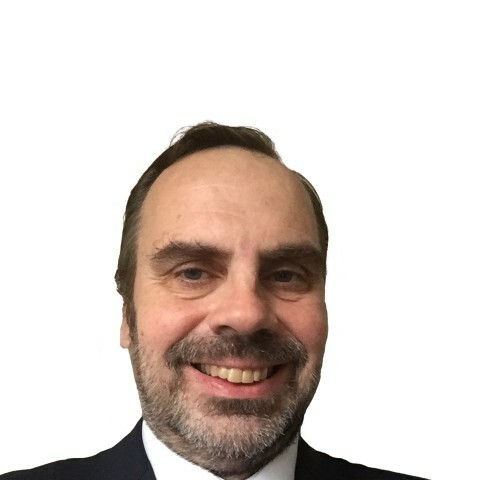 He practised for nearly 25 years as a tenant in a leading London commercial and employment set and has returned to private practice after spending 5 years assisting his partner in the restructure, relocation and management of her private nursery school business. He is therefore able to combine the substantial experience gained from a broad Chancery, Commercial and Employment practice at the Bar with the practical business experience gained from working in an in-house role. As an advocate Raoul has extensive experience in a wide variety of civil Courts, Tribunals, and other settings, He has delivered lectures and seminars on Employment, Pension, Company and Costs issues and has acted as an Adjudicator for a Financial Services Compensation scheme. He was a regular participant under the ELAAS scheme in the Employment Appeal Tribunal and for the Bar Pro Bono Unit in the Court of Appeal. Whilst working with his partner, Raoul undertook most of the internal legal work for the business including reviewing and amending terms and conditions of business, contracts and other documentation drafting and reviewing policies and procedures to ensure compliance with relevant legislation and guidelines and liaising with the business’ external advisers. He managed an appeal to the business rating valuation of the new premises and generally performed the HR function for the business. This included ensuring TUPE compliance on the transfer of the business to a limited company and successfully handling and representing the company in an Employment Tribunal claim brought by a former employee. Outside of practice at the Bar, Raoul is currently the Vice-Chairman of the Murrisk Development Association in Ireland and takes an active part in local campaigns and projects. He is also a former international swimmer having represented Hong Kong at both Age Group and National levels. He still swims and competes as a Master at county, regional and national levels. Anglian Windows v The GMB  EWHC 917 (QB) – Interlocutory Injunction, Strike Action, Ballots and workplaces. Fraser v HLMAD Ltd  1 All ER 383,  ICR 1395 – Res Judicata and Employment Tribunals. Whether a decision of tribunal on a breach of contract claim precludes a further action for the excess over the tribunal’s jurisdiction. Green v Governing Body of Victoria Road Primary School  2 All ER 763,  ICR 684 – Education, Proper respondent to a claim for unfair dismissal. Interlink Express Parcels Ltd v Night Trunkers Ltd  RTR 23 - Road Haulage, whether drivers supplied by third party were temporary employees. Contract, Road Haulage, Use of goods vehicles by drivers employed by defendant on claimant's business, S.2 Goods Vehicles (Licensing of Operators) Act 1995 - Whether drivers "temporary employees" of claimant - whether use illegal - whether contract for supply of drivers void for illegality. Wood v Coverage Care Ltd  IRLR 264 – Unfair Dismissal, Spent Convictions Rehabilitation of Offenders Act 1974. Raoul undertakes both contentious and non-contentious Chancery and Commercial work with particular expertise in Company, Landlord and Tenant and Property Law, and Customs Duties. Woolwich v Twenty Twenty Productions Ltd  All ER (D) 211 - Companies - Unfair prejudice to members - Exclusion of member from management of TV production company - Refusal by other members to purchase shares. Overseas Medical Supplies Ltd v Orient Transport Services Ltd  2 Lloyd’s Rep 273- Insurance, International Carriage, BIFA Conditions, Unfair Contract Terms Act 1977 - whether Clauses 13(B) and 29(A) of BIFA Conditions were unreasonable limitations of liability for freight forwarding agent's failure to insure goods. Paperlight Ltd & Others v Swinton Group Limited  CLC 1667 - Franchise Contract, Renewal rights - Notice required by a franchisor before withdrawal from franchise business. Commissioners of Customs & Excise v Cedar Health Ltd  All ER (D) 230 - Customs and excise - Duties - Meaning of 'medicament' in Combined Nomenclature of the Common Customs Tariff - Whether product a 'medicament' only if it had an effect on the precise functions of the human organism - Council Regulation (EEC) 2658/87. Miller & Fletcher v Levy Gee (1998) – Investment Advice by Accountants to well-known pop star and record producer to become Lloyd’s Names – Lloyd’s of London - Payment into Court – Time for acceptance. AMF v Hashim (1993) – appeared as Junior Counsel at trial of AMF’s claims of fraud and breach of fiduciary duty against Dr Hashim and other defendants whilst running AMF. Included claims for equitable remedies in rem and issues of conflict of laws. It has been noted judicially that Raoul “clearly has a very considerable knowledge and experience” of matters relating to the powers of costs judges and costs (per Drake J in Skuse v Granada  1 WLR 1156). He has experience in both contentious and non-contentious costs matters and in the Supreme Court Costs Office. We don’t have any client feedback for Raoul Downey at this time. Outside of these key areas of law, Raoul Downey is always willing to consider any enquiry requiring the experience or knowledge needed to help you or your client. Please call Raoul direct or the support team on 01823 247 247 if you would like to discuss any aspect of this profile.